Ads make the world go round these days, especially when you look at how companies based on the internet make money. One of the biggest examples of such companies that earn money through the internet is YouTube, a platform that has made it possible to watch hours of content all day, every day without having to pay a single penny. YouTube does this by running ads, but these ads can be quite annoying because they sometimes disrupt your experience. Preroll ads, which are basically clips that run before the video starts, are usually not that bad, you can often skip them after five seconds and they don’t really interrupt your viewing experience. However, if there is one type of ad that pretty much nobody likes it is the midroll ad. This is a type of ad that runs in the middle of content. 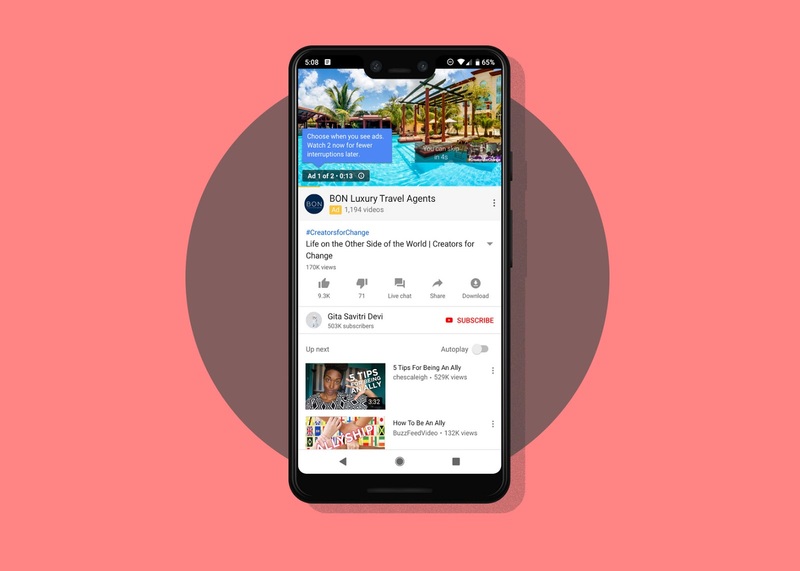 It interrupts your viewing experience and can ruin the pleasure of watching videos on YouTube, and Google knows just how badly this can turn the user experience into a negative one. While it simply won’t be possible for YouTube to remove midroll ads completely given the fact that ads are the platform’s primary source of revenue much like most if not all other internet based businesses, there are other options that the platform can look into. One thing that Google suggested was giving users the option to watch two ads before the video started. That way the number of ads would not decrease and users would not have their viewing interrupted either. It seems like a fair compromise all things considered. Most users would definitely prefer to watch both ads at the beginning of the video instead one before and one in the middle if those are the only two options they have. "When users see two ads in a break, they’re less likely to be interrupted by ads later. In fact, those users will experience up to 40 percent fewer interruptions by ads in the session. Early experiment results also show an 8 to 11 percent increase in unique reach and a 5 to 10 percent increase in frequency for advertisers, with no impact to Brand Lift metrics. ", explained Khushbu Rathi, product manager at Google. Adding further, "This new experience, launching on desktop this year then followed by mobile and TV screens, aims to accommodate viewer preferences while continuing to help advertisers connect with their most important audiences.". Read Next: The Beginner’s Guide to YouTube Advertising (infographic).